*This event is suitable for all skill levels-Cards subject to chance without notice. *Each registration is a guarantee of a reserved spot. Registrations are non refundable however you may transfer your spot should you be unable to attend. 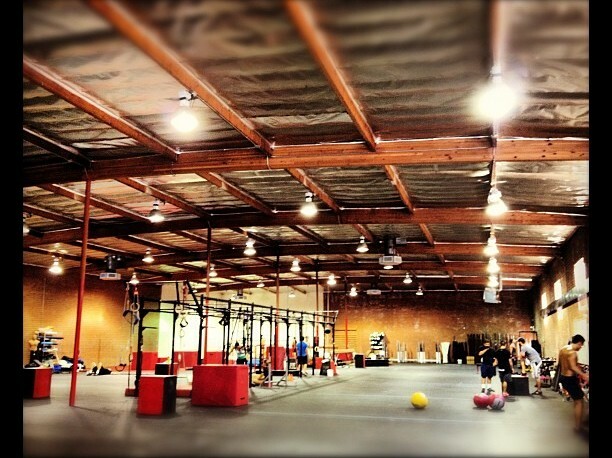 All indoor workshops will be held at Valley Crossfit in Van Nuys, California. 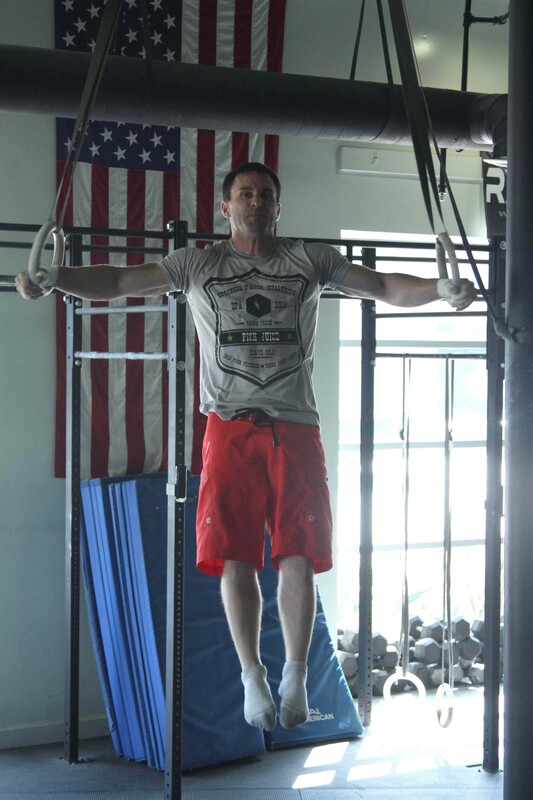 Opening in 2005, VCF is the biggest and best CrossFit gym in the Valley! Located in an AMAZING 15,000 sq ft facility with a 48ft long pull up and monkey bar system, 1600 sq ft professional gymnastics floor, 7 climbing ropes, cargo net, 6ft obstacle walls, truck tires, sleds, dip bars, a wall of rowing, GHD and ski erg machines. Not to mention…mountains of kettlebells, medicine balls, slamballs, atlas stones, rows of barbells, bumper plates and even MORE fitness toys for you to enjoy. You have dreamed about it; now do it! Come surfing in California and learn the basics from the ground up. Five days of surfing workshops that will have beginners catching waves in no time. Learn about board design, safety, stance, how to read waves and more. For more than 18 years, Heather Alley has surfed her way through international waters. Originally from the big island of Hawaii, she has instructed for top surfing schools, coached her way through local surf shops and given private instruction to thousands of happy customers. Considered by many to be the most complete athletes, gymnasts posess incredible strength, flexibility and mobility. These workshops will teach you how to scale bodyweight exercises to develop superhuman strength and will also include tumbling basics as well as Ring work. His focus remains safety, health, and longevity in fitness. Dusty continues to travel and present the CrossFit Gymnastics Trainer Course and has co-written “Breaking Parallel” with CrossFit Gymnastics Subject Matter Expert Jeff Tucker, due out December13th. This martial art encompasses many skills including fight elements, dance, music, singing, strength acrobatics, flexibility acrobatics and explosive acrobatics. 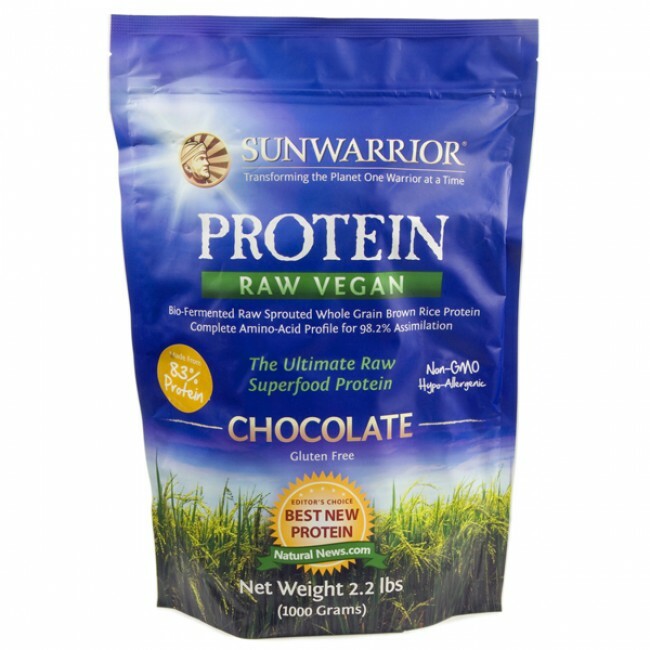 Amir Solsky is a celebrity fitness trainer and nutrition expert and has devoted numerous years in the study of body movement ranging from martial arts to arial arts. He is a Capoeira Contra Mestre and is the founder of Fundamentals of Movement and Capoeira Los Angeles where he holds classes for students of all levels. He performs regularly doing various circus arts such as aerial and hand to hand balancing, Equilibre, contortion and dance. 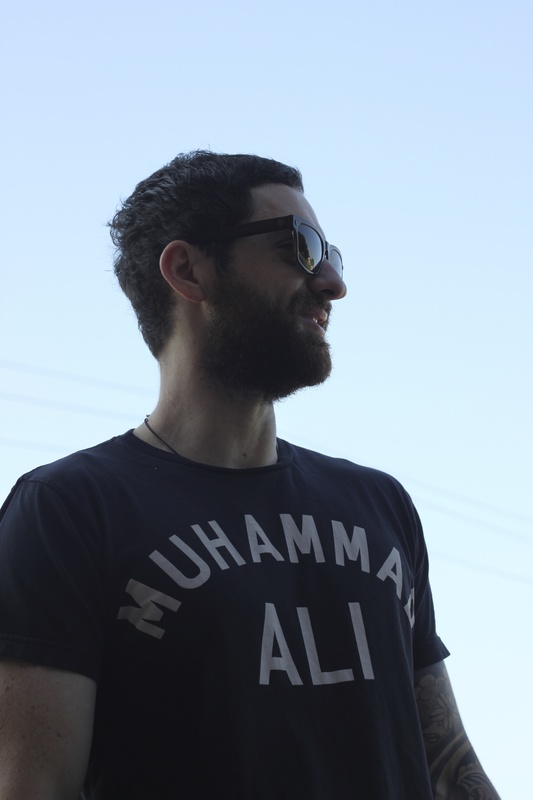 Amir has been featured on National Geographic’s “Fight Science” and has appeared in various music videos such as Fall Out Boys and Natasha Bedingfield, and commercials such as “journeys”. He has a passion for continually developing his understanding of human physiology and movement and is demonstrating the possibilities and capabilities of our ever evolving and unlimited human potential through movement. 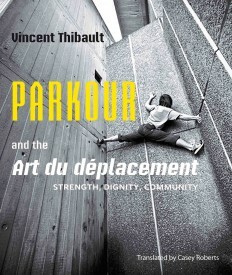 Parkour is a holistic training discipline using movement that developed from obstacle course training. Practitioners aim to quickly and efficiently overcome obstacles in their environment. I come from a martial arts background, and have always worked out differently than most of the other guys. I always felt that most guys were happy looking stronger than they were; I always wanted to be stronger than I looked. Plus, I knew that speed, balance, agility, flexibility, etc. were equally as important as strength in the overall picture. Workshops in Joint Mobility/Kettlebells and Adaptive Bodywork. All workshops will be held at The Academy of Lions in Toronto Ontario Canada. The Academy of Lions is not just a gym, its an experience. This 10,000 square foot gym is located at 64 Ossington. The facility is spread out over 4 levels devoted to physical culture, healthy foods and locally designed goods. 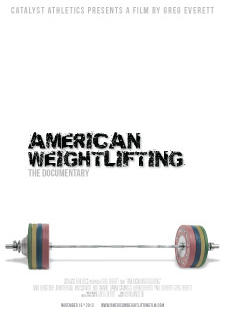 Olympic Weightlifting is the most practiced and effective strength sport in the world. 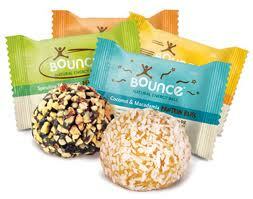 It produces excellent health along with athleticism, skill and mental focus. 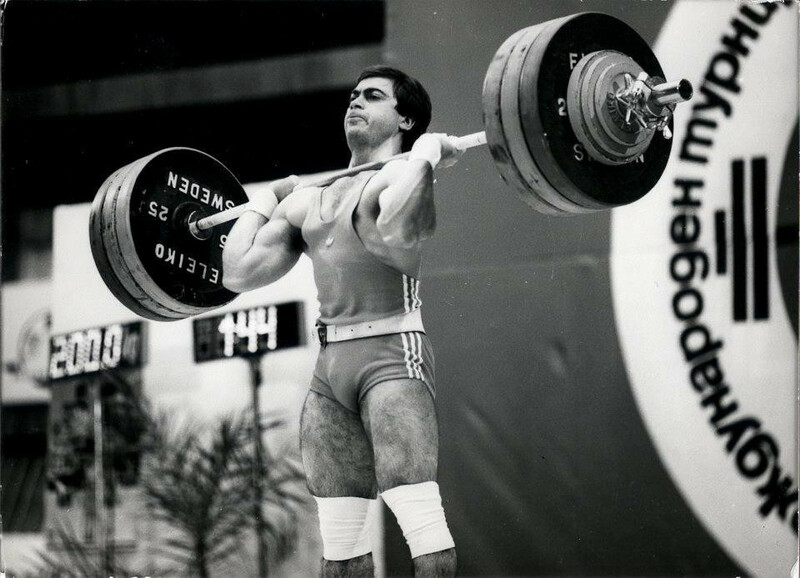 Alex Varbanov has devoted 35 years to the sport of Olympic Weightlifting and has built a strong reputation of a weightlifting professional. Varbanov possesses a master’s degree from the National Sports Academy of Bulgaria; he is an Honoured Master of Sports and an Associate Professor at ECACEC – Chile. Before you can conqure the resistance offered by weights you should first learn to control your own body. Control and body awareness are key factors to success in every movement discipline. Dancers have some of the highest degrees of awareness and control and these workshops will give you insights on how they develop these incredible attributes. One reason circus aerialists can make everything look so easy is because of the specific strength training they do while learning new skills and working the muscular endurance needed to make it through a 5 minute act. The aerial strength workshop is a window into the types of exercises and workouts that aerialists use to get in the tip to shape they are in. Even if you have no intention of becoming a circus aerialist, it will give you a new perspective on how to integrate some of these exercises and workouts into your own training with your personal goals. Solo and duo strength exercises will be covered. These workshops are designed for fitness gyms so the exercises will be interpretations that you will be able to do either on rings or pull up bars, no additional equipment required. These workshops will teach you how to break a skill down into multiple exercises so that you will always know that you are working towards a specific end goal. Learn to make skills that once seemed virtually impossible into visible steps from your current ability to your dream skills. She grew up as a competitive gymnast and after leaving the sport she spent years studying acting, stunts and kickboxing before she discovered the Circus and her love of live entertainment. For almost 10 years she has studied and performed Handbalancing, Icarian Games, Contortion and other circus disciplines. 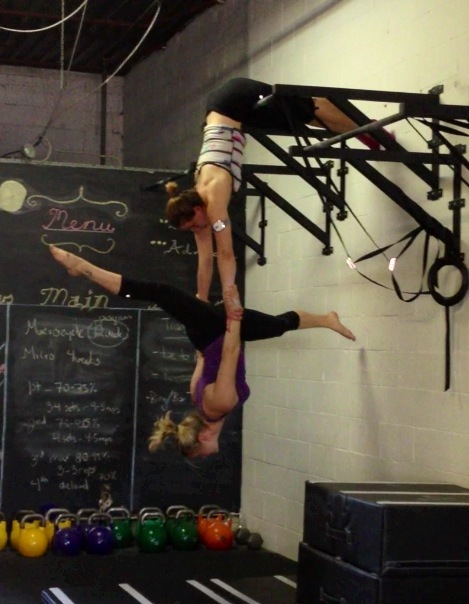 She has brought her love of circus to the fitness world as a certified personal trainer. Her classes and programs are devoted to using circus training techniques to increase strength, flexibility, and health. Whether you are a circus performer, an accrobat, a gymnast, an Olympic lifter, a X-Fit athlete, or any form of athlete engaged in the rigors of intense training and sports specialization, it is important to understand the consequences that injury to an athlete’s connective tissue support system will have on their potential for coordinated, pain free movement. When a structural dysfunction resulting from an injury like a fall or a strong impact with an external body or a wrong move is not recognized, its impact on the body will have life long repercussions. This dysfunction to the athlete’s support system will continue to interact negatively with all future athletic movements, creating a series of performance limiting compensations that will ultimately compromise the athlete’s likelyhood for success. It is a priority to rapidly restore balance in the athlete’s support system to avoid further structural dysfunction, dysfunction that will be exacerbated through the continued efforts of training and competition. In passive modes of therapy the client abdicates responsibility for his body’s dysfunction to a therapist. This common approach suffers from creating a neurological disconnect between the structural dysfunction and the client’s nervous system. This is the “Fix me” mentality. It is popular in our instant gratification, fast food society, however it is rarely successful and at best yields only temporary and superficial results. Adaptive Bodywork puts the clients back into the driver’s seat empowering them with the tools they need to rapidly regain control of their structural rehabilitation and pain relief. As a team the client and therapist are able to work efficiently towards recreating a state of youthfulness in the client’s tissues and movement potential. Directed by the therapist, the client uses movement to create a sensory feedback loop that acts as his roadmap for the exploration and restoration of his compromised tissues. Being in control gives the client the necessary confidence to effectively address their issues at a rate with which they are comfortable. This active approach maintains the connection between the client’s physiology or structure and their neurology or movement patterns, thereby integrating the work in real time. In this way Adaptive Bodywork reboots the client’s neural-myofascial connection, enhances proprioception, increases range of motion and lost mobility, removes debilitating pain and restores more efficient movement patterns rapidly. This year Sara and Shawn will be presenting workshops on Joint Mobility, Indian Club training and Hand to Hand. Develop resilient shoulders with light club training and specialized mobility exercises that will help you create shoulders that are built to last. Explore the world of Hand to Hand training from basic to more advanced partner hand-balancing exercises. These workshops will challenge your body-weight training and help you develop unreal raw strength. 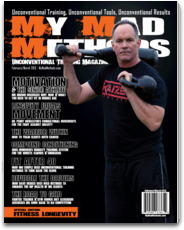 Shawn Mozen is the founder of Agatsu and the father of Kettlebell training in Canada. He was the first Canadian instructor to release instructional DVDS, a workbook and to offer instructor certification seminars. Recognized world wide as an authority on Kettlebells, martial arts and functional fitness Shawn has appeared on US and Canadian tv shows such as VH1′s Celebrity Fit Club, Miami Ink, and Off the Record. She is the Technical Director for Agatsu Joint Mobility & Movement Program. Her clients range from athletes, seniors citizens, chemotherapy patients to mentoring troubled teens. Sara-Clare’s training and educational background includes olympic weightlifting, ashtanga yoga, dance, hand balancing and kettlebells. Why does a cue work for some clients, but not for others? How can I get the best out of my clients & staff? How do I break through performance plateaus and get that PR? What is the REAL reason for my failure?The Field of Neuro-Linguistic Programming, better known as NLP, is a valuable resource in learning the answers to these questions. Dhani Oks will lead you through two short workshops that will open-up new possibilities in your clients, your coaching and ultimately more success as a leader & motivator.The first workshop will focus on principals of communication & perspective . The Second workshop will show you how to use those principals to motivate your clients, build report quickly, effectively manage different personality types and be inspire large groups. Dhani Oks is the co-owner, founder and Director of Academy Of Lions. He holds over 20 speciality certifications including the entire Agatsu system, CrossFit, Olympic Weightlifting, Nike Training, POSE Running, NLP and Hypnotherapy. He blends all these systems along with his experience running a large athletic facility into a model that can be used by any coach to become more effective. 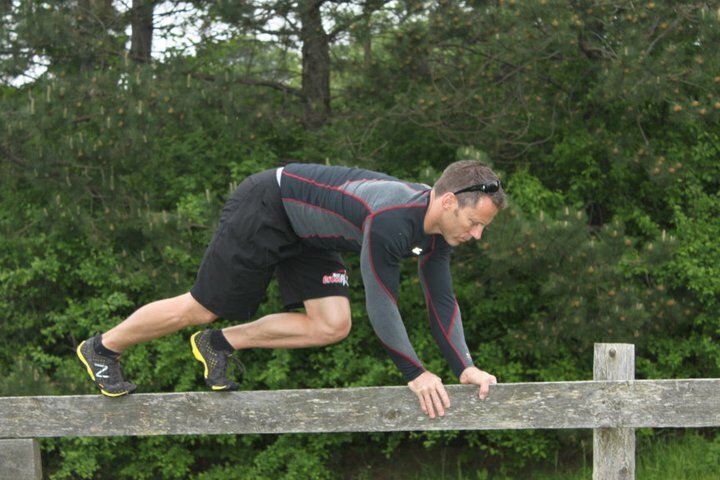 Schedule: The Masters of Movement training seminar is spread out over five jam packed days. Training begins 8:00am and runs to approximately 7:00pm each day. Breaks are given between workshops including lunch. We are limiting space for these event to ensure that each participant gets one on one training from all coaches. Don’t wait, register and reserve your spot today!